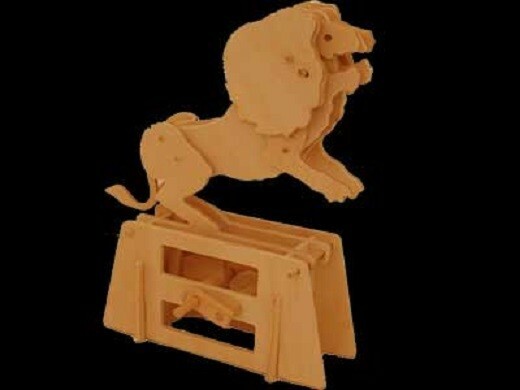 Timberkits Flat-Bits self-assembly Lion Kit , all parts fully machined, just peg and glue and make it move. He rears up and opens his jaws, ready to eat anything. Made out of ply and good to paint afterwards. - just turn the handle! Amaze your friends! - no special knowledge or skills needed. After you have made the model you can paint and varnish it and then try a more difficult one! For ages 8-90years. Comprehensive instructions.